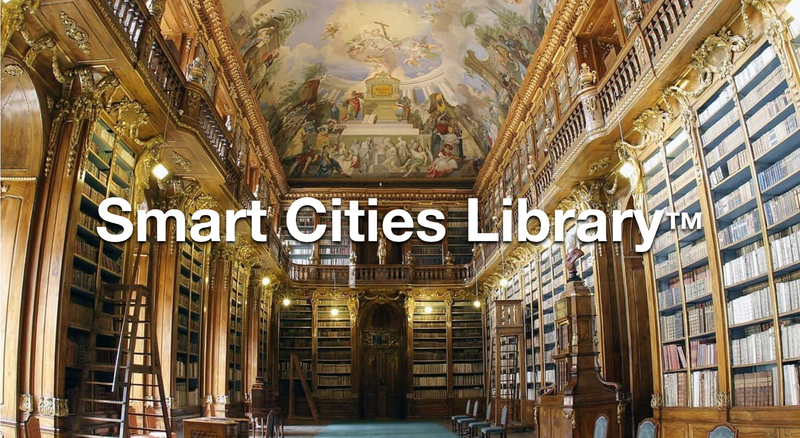 The goal of Smart City engagement is to meaningfully connect all citizens, the local developer community, artists and cultural institutions, entrepreneurs, start-ups, universities, and companies to improve the lives and the quality of life of all Smart City citizens. In June 2015, the ministry of urban development came out with guidelines for a smart city. These guidelines were divided into six key areas with solutions to various everyday problems in each of these categories. Smart facilities under e-Governance and Automated Citizen Services include public information, grievance redressal, electronic service delivery, citizen engagement, citizens’ eyes and ears, and video crime monitoring. Waste management includes conversion of waste to energy and fuel, waste to compost, waste water treatment and recycling and reduction of construction and demolition waste. Water Management involves smart meters and management, leakage identification, preventive maintenance and water quality monitoring. Energy management includes smart meters and management, renewable sources of energy, and energy-efficient and green buildings. Urban Mobility has been envisioned with smart parking, intelligent traffic management and integrated multimodal transport. Then there are some more services that talk about telemedicine, tele-education, trade facilitation centres and skill development centres. These make it clear that the objective of the Smart Cities Mission is to improve the quality of life of people by harnessing technology to enable local area development. While most people talk about smart cities in terms of infrastructure and facilities, a city is truly smart only when its people can breathe unpolluted air, can walk on clean pavements, have access to drinkable water, and have rights and entitlements. Almost all major cities have good mobile connectivity if not the best, widespread broadband Internet and reliable power supply but what lags behind is civic engagement and use of technology to follow a bottom-up approach in governance, administration and general upkeep of the surroundings. Today, urban infrastructure includes smartphones, wireless Internet, laptops, tablets, smart meters, radio frequency identification tags and so on. Complementing these are sophisticated user experiences enabled through social media platforms, e-Governance apps, e-Banking services and augmented reality. As it implements the Smart Cities Mission, the government must also ensure roll-out of app initiatives that are driven by mobile technology. According to a Telecom Regulatory Authority of India report, there are more than 46 million wireless subscribers in Delhi alone. And this city has a population of a little over 25 million—almost 180% mobile penetration! So, a city will be smart when the people and the government harness the power of mobile technology to become smart. One good example of mobile technology being used for citizen and government services is the Karnataka One (formally known as Bangalore One) service. Through this one platform, a citizen can pay phone bills from all service providers, from Airtel and Vodafone to MTS and Idea. Citizens can also avail themselves of the services of 25 government facilities ranging from the electricity and telephone department to state transport, Bangalore University and even the police department. Through a simple app, the Karnataka government has managed to bridge the gap between citizens and administrators. Another pioneering app is Smart City Vadodara. This app, created for the local municipality, envisions engaging citizens in development and addressing their grievances. The GPS-enabled app allows people in the city to raise issues by posting a message or sharing a photograph related to mismanagement of waste, dysfunctional city lights, an open drain, stray or dead dogs, fallen trees, encroachment on roads and even food adulteration. That’s not all, the app also allows users to file taxes, apply for tenders and check for government job vacancies. [email protected], an initiative of the Madhya Pradesh government, is a portal for school education through which students and teachers can update the status of their schools and facilities provided in the school. Information related to the availability of drinking water and separate toilets for boys and girls to teachers’ attendance can all be updated through this app, which aims to make governments schools and teachers more accountable. A conversation between citizens and government creates transparency and generates a sense of engagement and ownership on the part of the community. And this is the way it should be. A citizen should not only blame the government if there is litter on the street; the citizen, too, is responsible for it. If any civic amenity, or service, is non-functional, photo reporting through apps and social media is a way of bringing it to the attention of the authorities. With the government gung-ho about the Digital India plan, it has created various app stores. One of them, www.apps.gov.in/apps has a list of 59 e-governance apps available for free download. Another website, www.apps.mgov.in, although it hasn’t been updated since early 2014, has a list 60 apps. It also allows app developers access to open government data to create apps, available at https://data.gov.in/featured-community-apps. So while citizen engagement through mobile as a tool—for accessing information and services, and complementing it with reporting through visuals and locations—is very important, unfortunately most government apps remain unpopular and largely unused by citizens. We have seen that private initiatives such as Ola have been highly popular with citizens. Then why aren’t government initiatives as engaging? The solution that I see is that the government needs to come up with six-eight major apps that make our city truly smart with high citizen engagement. These apps can focus on (a) geospatial and photographic reporting on the cleanliness of roads, parks and public toilets (b) encouraging maximum use of public transport over private commuting (c) ensuring government entitlements reach the people and, if not, they should be able to submit their grievances and get them addressed within hours and not days; (d) engage people to use apps to report incidents of corruption in the government and private sector; (e) inculcate the idea of ownership among citizens for their environment, green cover and public spaces to discourage littering, vandalism and encroachment and encourage protection of historical and cultural spaces; (f) motivate the public to become citizen police (not moral police) and take on the responsibility of making their city safer (like safecity.in does) (g) involve the people of all 450 villages in the Delhi-National Capital Region and engage them to turn these villages into living spaces that are economical and offer all civic amenities. I strongly believe that citizen engagement and community engagement are vital to making a city “smart”, rather than the government making promises and citizens waiting for them to be fulfilled. Sadly, in our fast-paced urban culture, there is no concept of civic engagement. People only want to complain about things, but not take any initiative to find solutions. On the other hand, community engagement is very much ingrained into the lives of rural people, which is why villagers are cleaner and greener. They might not have the best of technology and gadgets, but they share their resources, look after their environment and take ownership of their village. So may be cities will become smart if they return to traditional values and complement them with digital tools. The author is founder-director of Digital Empowerment Foundation and chair of Manthan and mBillionth awards.